IG: @AfricanFoods: Dodo with fried egg. So Yum. 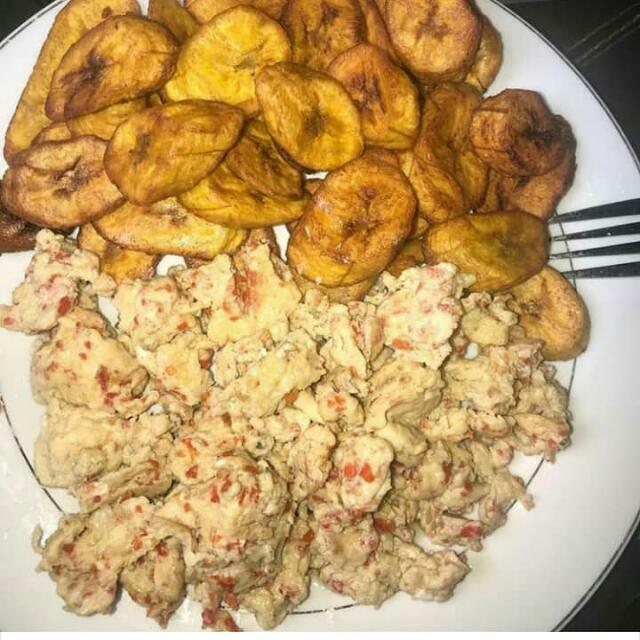 Dodo with fried egg. So Yum. Heat up your butter and vegetable oil mixed. Break your eggs over the plantain and sprinkle your chopped vegetables, cheese and seasoning over the eggs and plantains. Reduce the heat and cover the pan till the egg sets and serve hot.